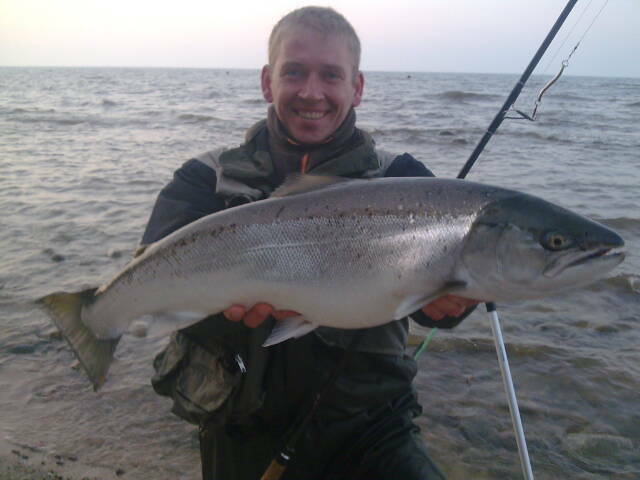 Group trips - Baltic Coast (sea trout from the beach) - Season 2014 - WELCOME! Dates of expeditions in the season 2014: 29-30.03.2014 (2 days) + 05-06.04.2014 (2 days) + 26-27.04.2014 (2 days) + 25-26.10.2014 (2 days) + 15-16.11.2014 (2 days) + 29-30.11.2014 (2 days) + 06-07.12.2014 (2 days). If you book a month before the planned trip - 10 Euro less! Booking and registration: e-mail: mateusz@guidedfishing.pl and tel. +48 503172508. 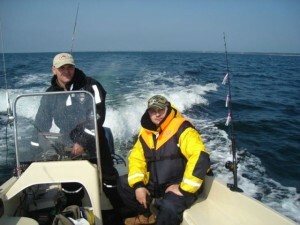 Over the two days, under the supervision of a guide, we will be looking for trout and salmon on the Baltic Sea from beach. We will waded waist-deep in water in search of silver torpedoes. Every year, our guide catch on the coast beautiful sea trout! On the first day we meet up early in the morning at headquarters. Quartered in, unpack your luggage and go together to the fishery. On the second day at the end of fishing, we are checking out the hotel and return to our homes. The aim of our fishing will be trout and salmon. 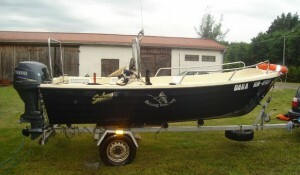 We will be fishing from the Baltic Sea from the beach. We will be fished in areas where there is a very big chance to catch big fish! 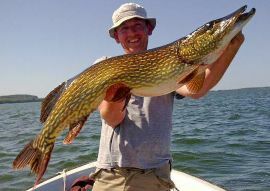 During the trip we will discuss the Baltic coastal spots, and we will advise you how and what to fish at these spots. We live in private accommodation in close proximity to the sea. Rooms 2, 3 and 4 persons. All rooms have a bathroom and a toilet. Self-catering. You can take your lunch or shop near your accommodation. Planned fire during the day. Guide during the trip will be Andrew Wizner. 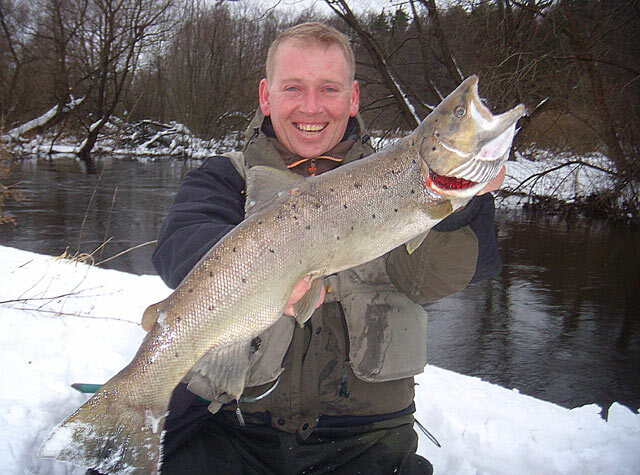 Andrew is one of a few anglers who are very familiar with the Baltic coast and knows exactly where the trout come up close to the shore. Guide at any time has a comprehensive knowledge and professional advice. Waders are needed for deep wading the sea from the beach. You have a chance for a real silver torpedo! The Reda starts its flow near Strzebielin and 51km further it flows into the Gulf of Puck. The Reda is the land of trout and grayling. This is a wonderful, sometimes still a very wild, river. It winds among woods and meadows. Every year, sea-trout and salmon swim into the river from the Baltic sea. They swim up the stream onto spawning. 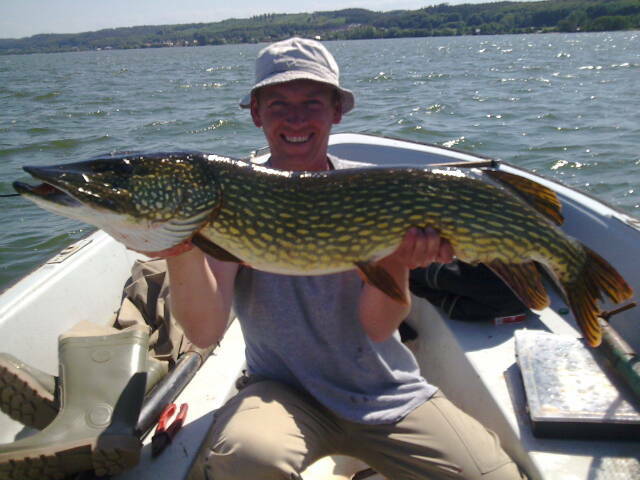 It is this fish that lures anglers from many places in Poland to the Reda. The population of salmonid in the Reda, thanks to the systematic protection and stocking, improves every year. 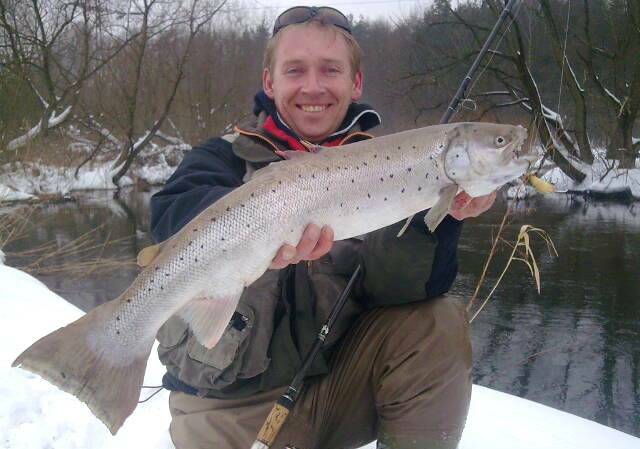 This is one of Poland’s best rivers to catch trout. The Reda is fussy, unpredictable and demanding, however. It may give you a set of beautiful fish but it may be very freakish as well. Knowing this river and its best trout fisheries well is the key to the success. Our guide knows where to look for such places and how to catch the trout out there. Feel invited for common trips with our guide.